Description: The Jedi Temple Guards were members of the Jedi Order who were dedicated to protecting the Jedi Temple on the planet Coruscant. They served as part of the Jedi Temple's security force and reported to Jedi Master Cin Drallig, who headed the Temple's security detail. During the Clone Wars, members of the Guards participated in the trial of the Jedi Padawan Ahsoka Tano, who was framed for the bombing of the Jedi Temple Hangar. 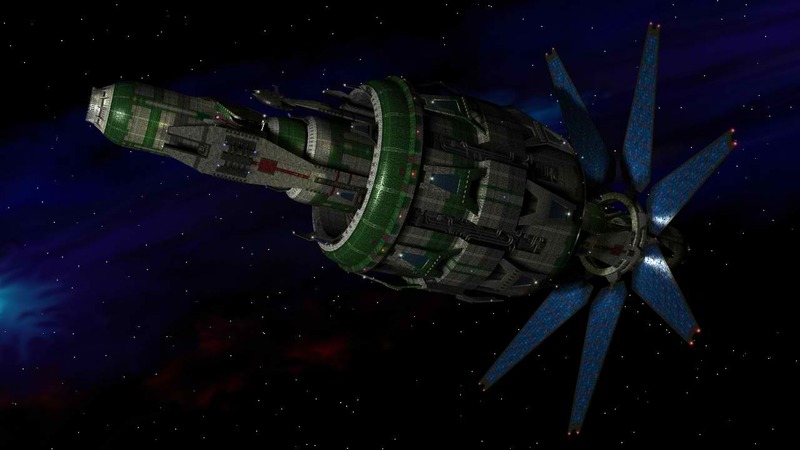 Four Jedi Temple Guards, along with Tano's Master, Jedi Knight Anakin Skywalker, later escorted the actual culprit, the Jedi Barriss Offee, to Coruscant's Republic military base, where Offee confessed to the crimes, leading to Tano's exoneration. Later, some Temple Guards protected Jedi Master Yoda as he was recovering from a procedure done so that he could determine the source of a voice in his visions. The Jedi Temple Guards were an ancient security group in the Jedi Order. The Guards, also known as Temple Guardians, comprised various Jedi Knights and sentinels in the Order. The position of Temple Guard was considered one of the duties that a Knight could adopt, and Knights were chosen as part of their continuing commitment to the Jedi. The Jedi Temple Guards were tasked with the protection of the Jedi Temple on the planet Coruscant and were a part of the security force, reporting to the head of security. The Jedi Temple Guards were established thousands of years prior to the Galactic War, a galaxy–spanning war between the Galactic Republic and the resurgent Sith Empire.Millennia later, the Jedi Temple Guards continued in their role as as guardians for the Temple during the Clone Wars, a galactic conflict fought between the Republic and the Confederacy of Independent Systems that began in 22 BBY. Around the war's second year, the Jedi Temple's hangar was bombed, killing six Jedi, several clone troopers, and a number of Temple employees. During the investigation, a group of citizens gathered at the Temple's steps to protest the Jedi's involvement in the war. Two Temple Guards stood watch at the steps, along with Jedi Master Cin Drallig, their security chief, as the citizens continued their protest. Skywalker soon discovered that the actual perpetrator of the crimes was the Mirialan Jedi Barriss Offee, a friend of Tano's. Skywalker confronted Offee in the Temple's dormitories, but she attempted to flee from him, only to be blocked by the Temple Guards. As the ensuing duel between Skywalker and Offee progressed to the rooftop of the Temple's ziggurat, the Temple Guards activated their lightsabers and continued to surround Offee and Skywalker in order to protect Jedi Master Tera Sinube and a nearby class of Jedi Initiates from harm. After Skywalker finally defeated and apprehended Offee, four members of the Guard escorted her to the Republic military base, where Tano was being tried, and Offee confessed to the Temple bombing and Turmond's murder. The Guards later escorted Offee out of the court when Supreme Chancellor Palpatine, who was officiating her subsequent trial, ordered her to be taken away. Later during the war, Jedi Master Yoda underwent a deprivation ritual in an attempt to ascertain the source of the voice he had been hearing in his visions. After the procedure, Jedi Master Mace Windu tasked three Jedi Temple Guards with watching over Yoda as he recovered. However, Yoda convinced Anakin Skywalker to help him evade the Guards by pretending to accompany Yoda for a walk. The two Guards standing by the exit from the recovery room tried to halt Yoda's progress, but Skywalker assured them that he would watch over Yoda. The Jedi Master then proceeded to leave the Temple in his personal Jedi starfighter. Jedi Temple Guards wore formal brown robes and identity-concealing masks, a display of emotional detachment that was required in service to a higher calling. 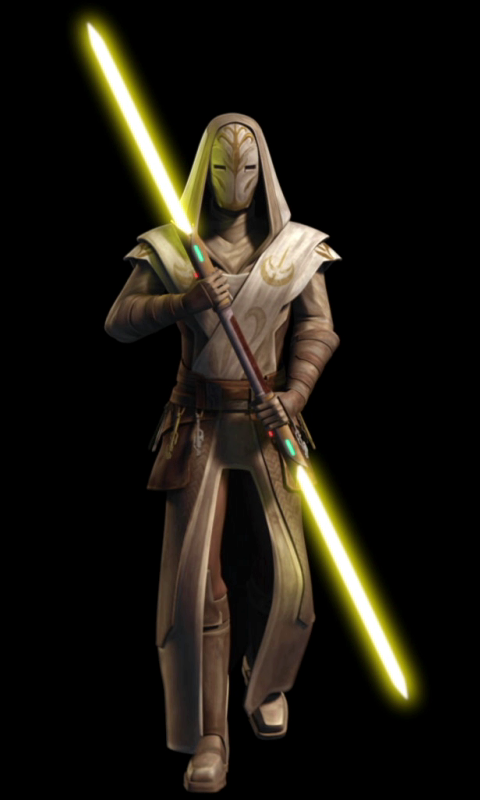 Temple Guards carried large double-bladed lightsaber pikes that produced yellow blades, which were considered rare among Jedi of the time.